The next Panel presentation will be given by Rachel Brown, of SKM, who is the manager of the ARR Project 7 project team. It will be a 5:30 for 6pm start at UTS Broadway. Please note: this will not be at the usual Chatswood venue rarher it will be held at UTS. Also it is being held on the Thursday and not the usual third Tuesday. An important aspect of flow estimation as distinct from flood estimation is the relative importance of the baseflow component of a hydrograph. Whereas the direct runoff component is the most significant component of a hydrograph for flood estimation and the baseflow component is neglected, this is not always the case for general flow estimation. In recent years the need to estimate small flood flows (in-bank floods) has arisen and, therefore, estimation of baseflow needs to be considered within Australian Rainfall and Runoff. This project focuses on the development of appropriate techniques for estimating the baseflow component of a hydrograph. It is expected that both statistical and deterministic approaches be developed to meet the various needs of the industry. 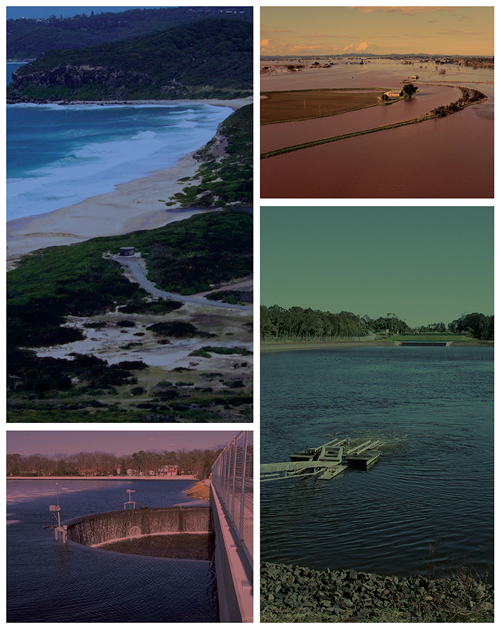 This project will result only in preliminary guidance in a form suitable for inclusion in Australian Rainfall and Runoff.